Did You Know About These Awesome Benefits of PMP Certification? / Did You Know About These Awesome Benefits of PMP Certification? You might be contemplating about the advantages and benefits and of PMP certification. You would be thinking if it is worth the time and effort? Does it provide any value given its high cost? It is a well-known fact that PMP is not an easy exam to pass. It requires strong desire and intense dedication. On top of that PMP certification costs a bomb. You would be wondering if PMP has any value. This post will clarify your doubts. You will find a summary of advantages of PMP credential in this article. It will tell you about the value of PMP in professional world. I have compiled a list of top 11 benefits of the PMP in ths post. These benefits gives you an unfair advantage over your peers in project management jobs. PMI is a non-profit global organization. Its credential provides an unbiased endorsement of project management knowledge and experience. Moreover, its PMP certification program is accredited to ISO/IEC 17024. PMP is a highly reputed, widely accepted, and globally recognized project management credential. It is valued across different industry verticals. The credential establishes additional professional achievement over and above your basic educational qualifications. It demonstrates excellence in the field of project management. It shows that you have understood and met established standards. The credential improves your knowledge, proficiency, and skills in the field of project management. You gain this knowledge while preparing for the exam and you tend use it in your project work. You get greater recognition from your organization and peers for taking an extra step towards professional development. It highlights your knowledge, skills, and competence. It showcases your ability to your fellow professionals. They may approach you for solving their project management problems. You might even start teaching others on nuances of project management. It shows the clients your commitment towards the profession. It tends to increase clients’ confidence in your abilities and skills. PMBOK Guide contains a set of tools, techniques, and good practices that increase the chances of project success. You learn these about these things while preparing for the exam and tend to utilize them while managing projects. This improves overall efficiency your project management. The credential establishes your knowledge, skills, and competence among your superiors and in the organization you work for. Your organization might give you responsibility for more prestigious and complex projects. Or you may start taking initiatives to work beyond your current job responsibilities. In a longer run, it might even compensate for your lack of years of project management experience. It is a well know fact that the PMP exam is a difficult exam. It may not be the most difficult thing that you will do in your career but it will certainly challenge you in a good way. You will gain immense self-confidence after passing the exam. It will also instill you with greater sense of personal satisfaction. In order to pass the exam, you would need to understand the key terms of project management as defined in the PMBOK Guide. In addition you should have working knowledge of the key project management concepts. The credential validates to your knowledge, skills, and experience. It enhances your resume and improves your marketability. Over the years, PMP certificate has become preferable (and sometimes mandatory) for project management jobs. It sometimes opens doors to new opportunities. There is a high demand for the skilled project managers in various different industries. The best jobs are somehow reserved for those who have the training, experience, and knowledge that comes with the certification. PMP gives you a competitive edge over non-PMP project managers. I have written it as the last point in the list of benefits. But, I think it is the most important point for the working professionals. PMP certification provides a significant advantage when it comes to salary and earning potential. Companies value PMP and are willing to pay more for it. This credential has a potential to provide instant value. You get an automatic advantage over those who don’t have it. It also gives you a higher earning potential in the ensuing years. 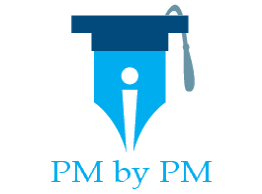 Is it beneficial to get PMP certification? Over To You – What Is The Value Of PMP Certification? What do you think is the value of PMP certification? Do you think it is worth the time, effort, and money? Does it give you any advantage in your career? Is it value accretive? Do you think it has any disadvantages? Or, do you know of any other benefits of PMP certification?